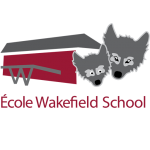 GRADE 5 OVERNIGHT TRIPS Mme Karine’s Grade 5 class has an overnight trip to Mr. Earwaker’s cabin planned from Tuesday, April 10th-Wednesday, April 11th. Ms. Bardell’s class will attend from Thursday, April 12th- Friday, April 13th. This trip focuses on environmental studies.